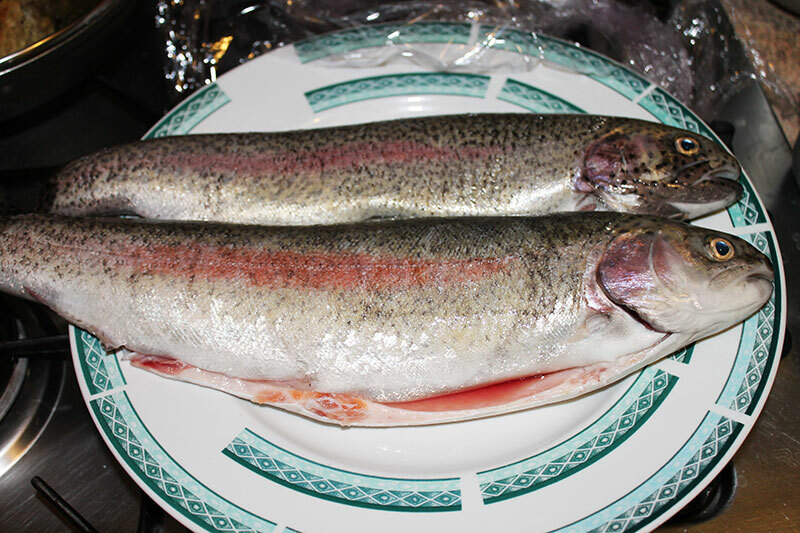 Clean fine the trout and sprinkle with salt and pepper. 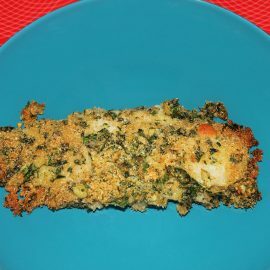 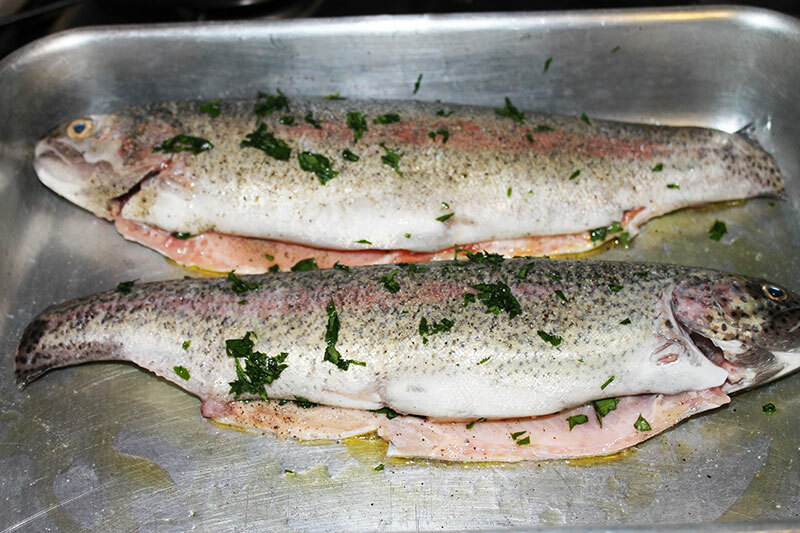 Sprinkle the inside of the belly, along with the minced parsley and a bit of butter, about 15g. 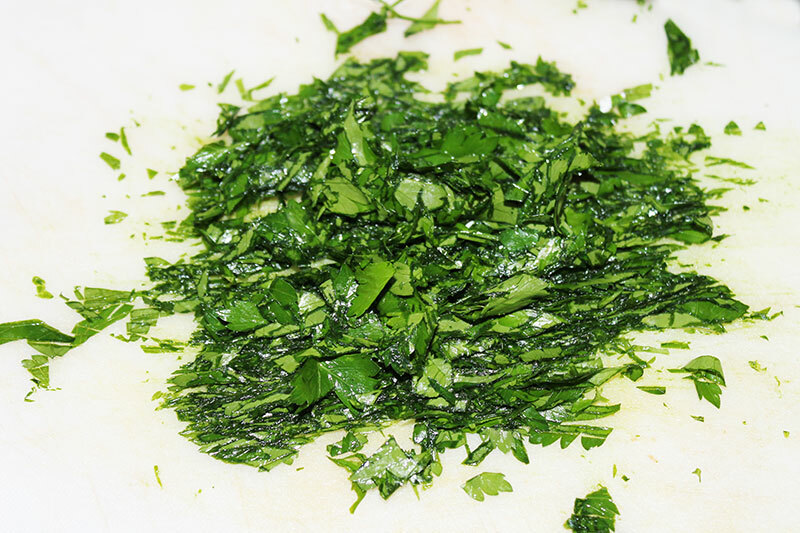 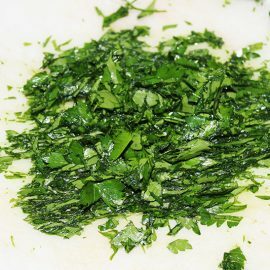 Sprinkle the outside also with parsley. 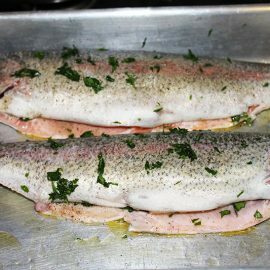 Bake in a greased baking pan trout of some oil. 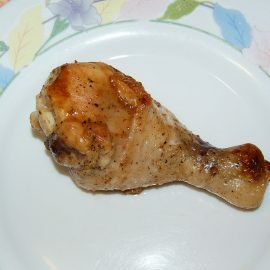 Bake about 25 minutes at 180°. 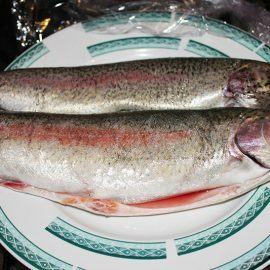 Don't try to turn the trout, simply lift them to prevent them from sticking to the pan. 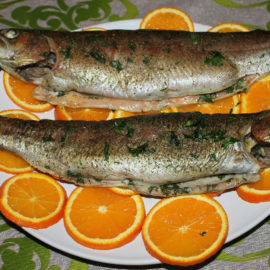 After cooking, squeeze the orange and pour the juice over the trout. 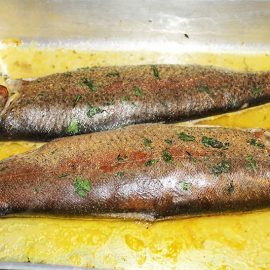 Cook another 5 minutes, raising the oven to 200°. 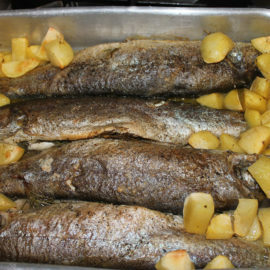 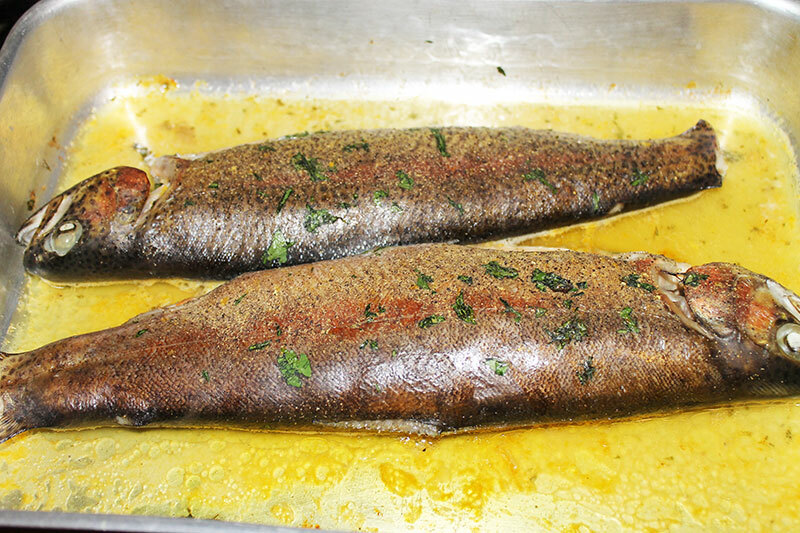 Remove trout from the oven, place them on a serving plate and collect the gravy. 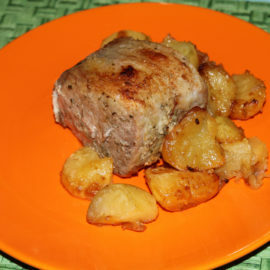 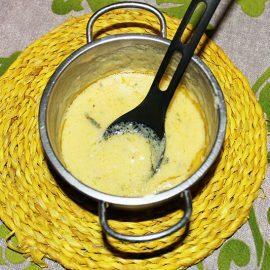 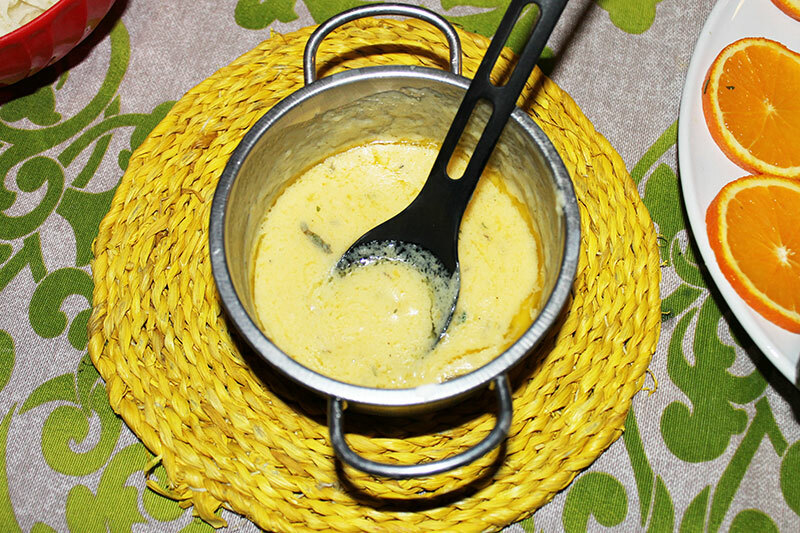 Place it quickly in a saucepan and cook with cream and a spoonful of flour for 2 or 3 minutes add salt if necessary. 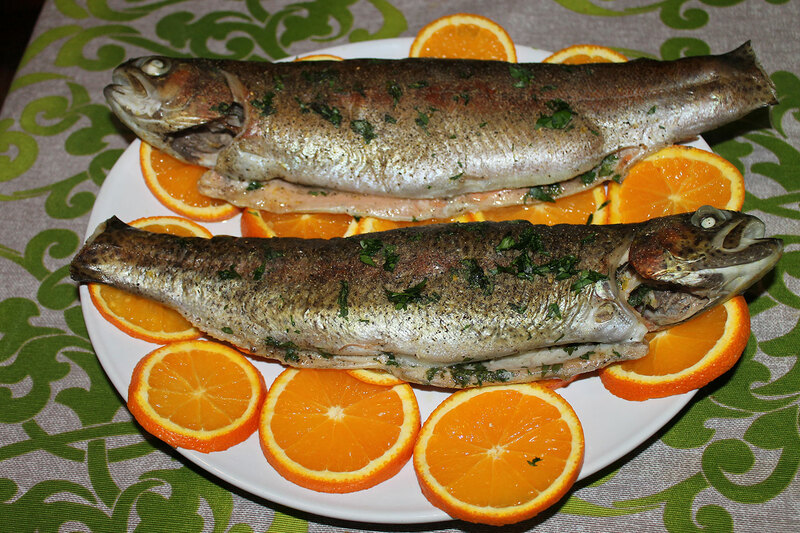 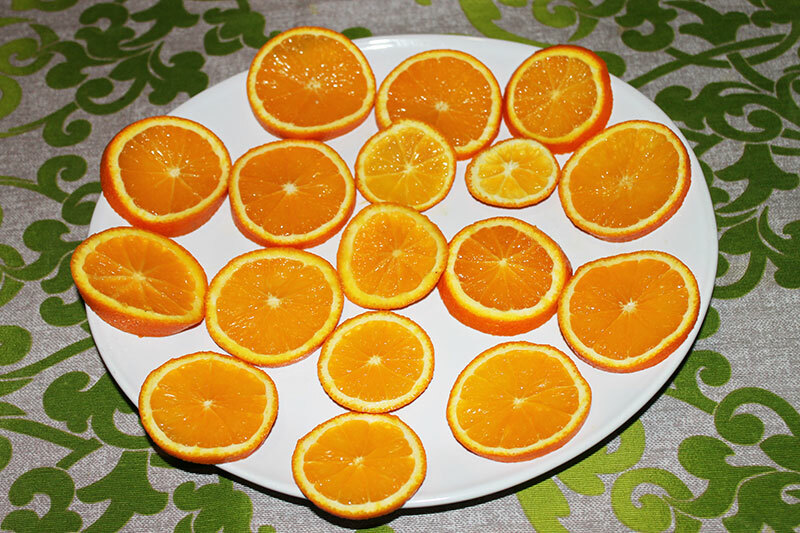 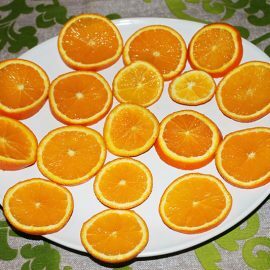 Serve the trout with some orange slices.